This airtight solution to freezer burn will ensure a Thanksgiving feast that’s forever frozen in your memory. For many Thanksgiving hosts, the holiday’s fun, family, and food mark the culmination of a month-long process: diligent decorating, guest planning, and, most notably, large-scale meal preparation. Menus are strategized with oven scheduling in mind, vegetables diced days in advance, dry rubs measured and mixed, and buttery pie crusts baked to perfection. But at the end of the big day, what remains of that hard work often gets haphazardly strewn into the fridge or freezer, where it can fall victim to freezer burn. Don’t let storage mistakes turn your Thanksgiving feast into a short-lived success. 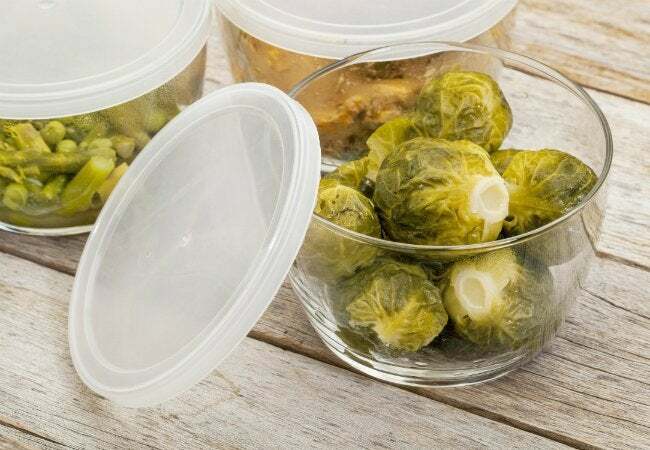 Switch out your go-to food containers, and you can preserve your feast—not to mention freezer space—after the holiday. To reap the fruits (and vegetables) of your Thanksgiving labor all winter, round up the cooled leftovers and transfer a small amount of any dish into a Ziploc freezer bag, squeezing out excess air from each before sealing. Think ahead: Make reheating easier on yourself by only packaging the portion that you’d reheat for your next meal, roughly one to two servings per bag. 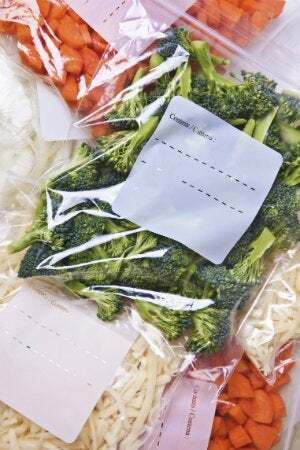 Then slide the filled bag into a second one to create a dual-layered seal that will protect the foods from air and moisture. Repeat this process with all of your sweet and savory comestibles, labeling as you go. When you’re ready to stow your holiday feast, stack or group similar foods together using baskets for a space-smart solution to your limited freezer space. Then move the most recently cooked foods behind any other lingering leftovers so that you don’t forget to thaw and gobble up all of your home-cooked goods this season.